But how well do we know about our country? How knowledgeable are we when it comes to India’s history and geography? How many of us know why India is called Bharath? Do we know about the epics and purana? Honestly, most of our knowledge about our mighty country is limited to what was taught by our teachers in the History and Geography classes. Of course, we also know a little bit of India through our parents and grandparents. The tales of how Lord Krishna was naughty... How Mahabharata was fought... About Lord Rama who built bridge to Sri Lanka for rescuing his beloved wife Sita... And so forth! But, the question is, is that all? India is too old to be limited to such selected incidents. There are so many incidents that has made the country what it is today. Mother India has seen so much. She has endured so much. She has been celebrated for many reasons. 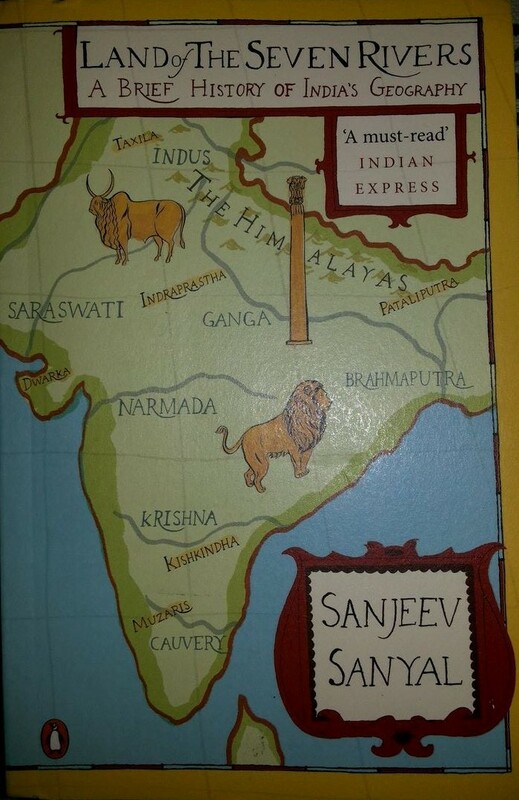 Sanjeev Sayal’s Land of Seven Rivers – A Brief History of India’s Geography is an interesting compilation of India’s History through Geography. The author takes us through various landmark incidents which earmarks our identity! 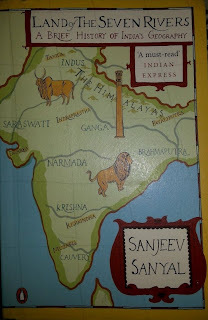 · The title was interesting – History through Geography seemed to be an appealing thought! · I wanted to know more about my country. As simple as that. The cover page was simple if we simply glance at it. But it carries high relevance if we try to analyze it. It carries the essence of the book – Seven rivers. Then there is Lotus – India’s National flower. I instantly recognized Kishkindha; thanks to the knowledge on Ramayana I have. And because of Mahabharath, I also identified Pataliputra, Indraprastha and Dwaraka. I was fairly content that I am well-informed and with excitement I started reading the book. Yes, I did fear that it might bore me. However, I completed 100pages in one go! Because it was midnight, I had put it aside. The book shines because the narrative is crisp. There is an easy flow from one topic to another. The author has brilliantly linked one topic to another. I particularly liked how the author has connected various similar types of events that have happened over several thousands of years. However, I have to also put across the fact that there is some dragging moments too. It may be because the book looks like a lengthy essay. There are too many information that as a reader we may feel suffocated. In short, the book is worth reading. This is a book with no shelf-life. PS: I heartily thank THINK WHY NOT for giving away this book for review.